Mazda expects annual European sales of about 40,000 CX-5s, a quarter of the car's global volume. 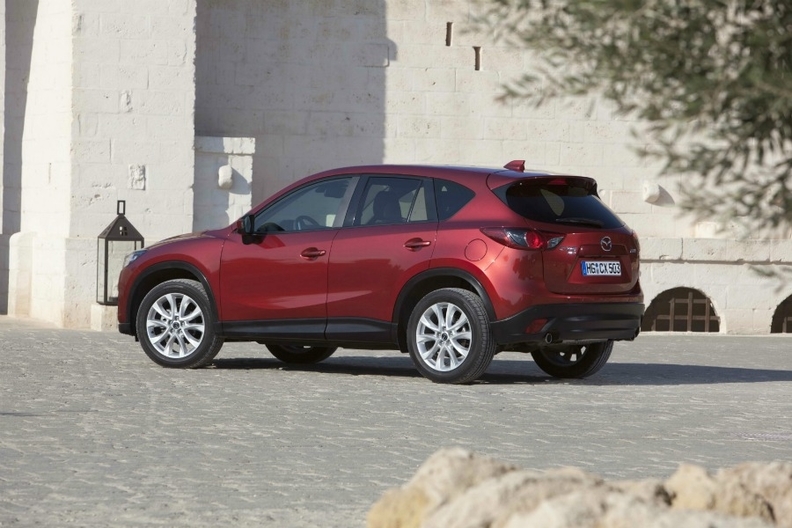 BARI, Italy – The arrival of the CX-5 compact crossover, which uses Mazda's new scalable vehicle architecture, marks the beginning of the post-Ford era for the Japanese company. Ford once controlled 33.4 percent of Mazda, giving it management rights, but now has just 3.5 percent after divesting most of its stake as part of the One Ford restructuring process in 2008. The CX-5 is the first car to use Mazda's new architecture, which will also be used on the replacements to the Mazda3 compact, Mazda6 mid-sized and the CX-7 mid-sized crossover. At full usage, the new architecture will underpin about 80 percent of Mazda's global volume. In 2008, with Ford preparing to exit, Mazda began thinking about how it should seek to reshape its future as independent automaker with the target of building about 1.2 million cars a year. Mazda's eventual answer to carving out an independent future was very similar to what was decided by another former Ford subsidiary, Volvo. Last year, Ford sold Volvo to Zhejiang Geely Holding Co. for $1.5 billion and the Swedish automaker too began to develop its own engines and underpinnings. A new design direction, a new scalable vehicle architecture and a new family of engines all mark the similarities in Mazda's and Volvo's strategy. Mazda's new design direction, called Kodo, or 'soul in motion' in Japanese, was first seen on the Shinari concept in 2010 and then applied to the Minagi, an almost production-ready CX-5 unveiled as a concept at the Geneva show in March. Unlike the new design look, Mazda's new architecture has not been given an official name yet. Designed for front-wheel-drive and all-wheel-drive application it will go on sale with the CX-5 from March in Japan and from April in Europe. The CX-5 is the first vehicle to feature all the company's new engine, transmission, body and chassis upgrades – all of which Mazda groups under the name Skyactiv. The CX-5 is also the first vehicle to feature all the company's new engine, transmission, body and chassis upgrades – all of which Mazda groups under the name Skyactiv. Mazda says its Skyactiv upgrades improve the efficiency, safety and driving pleasure of its vehicles. "It will provide us with huge opportunities," Mazda CEO Takashi Yamanouchi said in a recent interview. Once its Skyactiv technologies enter its entire lineup, Mazda expects its global fuel economy to improve by 30 percent compared with 2008 and its CO2 emissions to fall 23 percent. Skyactiv-G: 165hp (fwd) and 160hp (awd) 2.0-liter gasoline direct-injection engines that improve fuel economy by 15 percent compared with current engines. Skyactiv-D: 150hp and 175hp 2.2-liter diesels with a twin-stage turbo that improves fuel economy 20 percent. The new diesel engine meets Euro 6 emissions rules without the need for nitrogen-dioxide after-treatment. Skyactiv-Drive: Six-speed automatic transmission for diesel and gasoline engines that improves fuel economy by 4 percent to 7 percent. Skyactiv-MT: Six-speed manual transmission that provides a roadster-like shift feel. Both the new scalable vehicle architecture and the Skyactiv technology package will need to be truly effective to give Mazda a financially sustainable future as a stand-alone company. This month, the Japanese automaker predicted it will close the 2012 financial year – which ends March 31 – with its fourth consecutive net loss, albeit reduced to 19 billion yen (about 184 million euros) from 60 billion yen (about 581 million euros) the year before. On the volume side, Mazda expects lifting sales to rise about 1.31 million units in the current fiscal year from 1.27 million in fiscal 2011. The automaker is not expecting Europe to help grow sales this year: The company forecasts that sales in the European region, which also includes Russia, will decline to 204,000 units from 212,000 units the year before. Mazda is pinning its hopes on the arrival of the CX-5 and is confident it will help it make a technology-driven comeback in Europe after a five-year decline in unit sales. 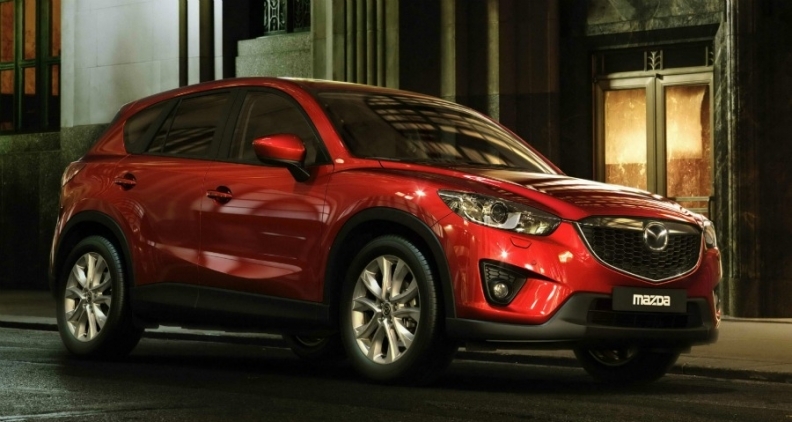 The automaker plans to sell about 40,000 units a year of the CX-5 in Europe, roughly a quarter of its global volume.